More known for projecting the talent of south coast England, the good guys from Hidden Trail Records and At the Helm Records have teamed up, broadened their wings and delivered a brand new sound from the west coast of America in the guise of M Lockwood Porter. Titled 27 for the obvious rock n’ roll reason, this is Porter’s first European release and unveils an album cut and primed in the model Americana tradition. Underpinned by a combination of folk spirit, singer-songwriter sentiment and rock drive, the record delivers a well-balanced listen, steeped in formula while containing enough edges to lift it out of the malaise of like-minded releases. All ten tracks have been written by Porter who also took control of the production duties during its recording in San Francisco. Predominately driven by guitar with assured vocals, the album dabbles in an assortment of pedal steel, harmonica and keys as well as sufficiently varying its pace to hook in your absolute attention. The album excels on its energy output with the rousing rock n’ roll number ‘You Only Talk About Your Band’ which bridges classic rockabilly with vibrant new wave, all in a frenetic two and half minutes. Earlier in the album ‘Restless’ had injected further pace into the record with equal effect and rigour. Repeat listens to this track unveils a very Jason and the Scorchers feel to it. Of the more sedate numbers in comparison, ‘Different Kinds of Lonely’ leads the way with its slightly jaunty style and ‘Secrets’ is not far behind aided by a fine mid-song guitar solo. The acoustic tracks ‘Mountains’ and ‘Couer d’Alene’ also fall into this category, revealing an artist who may have been considered mainstream in the heyday of the classic rock infused singer-songwriter. Records like this are indebted to the Americana movement for rescuing a sound often shunned by an industry looking for a quick fix. Elsewhere ‘I Know You’re Going To Leave Me’ gets the record off to a solid beginning, while ‘There To Here’ provides a calmer resting point after a few of the more up tempo numbers. 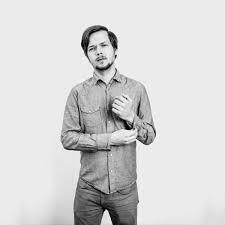 On a record which has an optimum running time of just shy of forty minutes, Porter does leave room for a track heading in the direction of epic length proportion with ‘Love Me Like I’m Not Around’ using its repetitive chorus parts to merge into a semi-psychedelic closing. This highly palatable and trusty release possesses enough promise to put M Lockwood Porter on the map and provide a platform for a valid stab at the UK market. 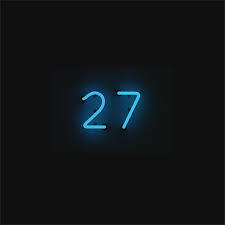 27 is an album title not too difficult to remember and spawns a sound with pretensions of being etched on your memory.